Usually to open Command Prompt we go through the RUN Menu (Win + R) and typing the word Command in the run column. In Windows 7 we can also open a Command Prompt using a Mouse Click. • Press and hold the Shift key (on the keyboard). 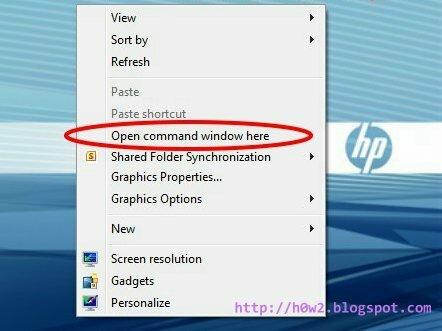 • Right-click on the Desktop area (while holding down the Shift key).